This week’s teaching forum was with maths teacher Morwenna Treleven. Morwenna has been thinking about how to tackle the issue of having to get students to remember a large amount of content, in preparation for terminal exams. This has coincided with completing the first year of a school-based masters and thinking about an area of interest for her dissertation for year 2. 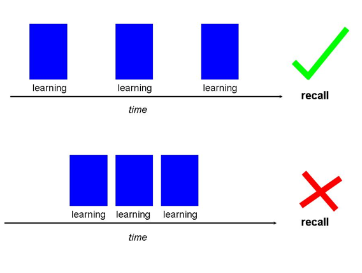 Following a presentation last year by science teacher Phoebe Bence on using ‘Ankiapp’ to support spaced practice, Morwenna introduced ‘pause lessons’ every week, to review previously covered material – but she wanted to go further with this. In 1885 Hermann Ebbinghaus ran a limited study (on himself) where he taught himself nonsense syllables and then tested himself on them days after the initital exposure to them, recorded how many he remembered, reviewed them again and then repeated the process over time. 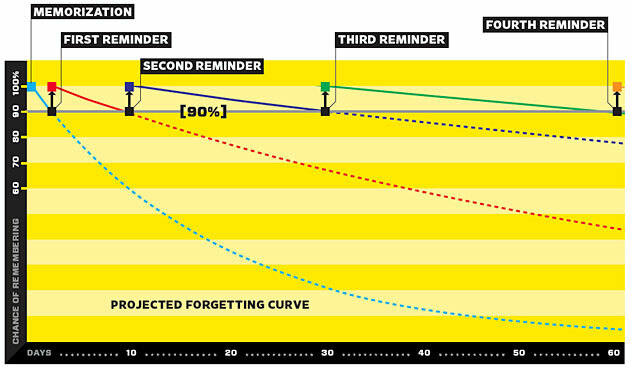 This resulted in the now-quite-famous ‘Ebbinghaus forgetting curve’ (see above). Essentially this suggested that spacing out the reviews, with an increasing gap between them, helped him to remember the syllables. The spreadsheet does this for all new topics that are started (this extract just shows one – product of prime factors). As can be seen, sometimes the review will be covered as a quick quiz at the start of the lesson, on other occasions it will be a homework and towards the end of the period and closest to the test, as a whole review lesson. Each topic is reviewed four times, with an increasing space of time between each review. Morwenna is finding this spreadsheet useful in terms of her planning, as it reminds her when she should be reviewing each topic – keeping this in your memory as a busy teacher would be difficult for most busy teachers! After one term of trialling this, Morwenna is seeing some promising results. Test scores have improved with the Y7 and Y9 classes that she is trialling this with, and the students appear to be more confident when it comes to remembering things. Other teachers who are trialling the approach are also reporting the same effect. These are very early days though. The trial will be continued over the course of a year, with the results being compared to a control group of students, who are not experiencing this approach. 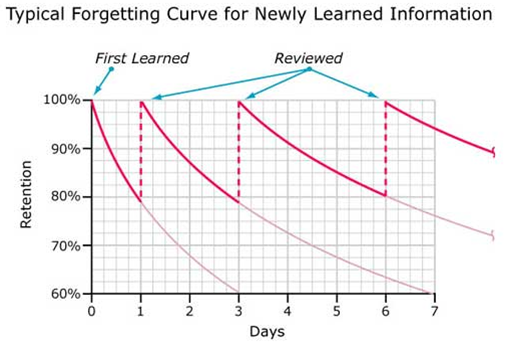 This entry was posted in General Teaching, Teaching Forums and tagged Ebbinghaus, knowledge retention, Spaced practice. Bookmark the permalink.